The question I get most often from my clients who are training for any distance triathlon (but especially the longer distances) is “what do I eat during the race?” This is a great question and one that takes years of experimenting to master as each person is so different and our bodies respond differently to different amounts of salts, sugars, water, etc over the course of a 1-17 hour race day. I have spent my fair share of time, energy, and money to figure out what works best for me and my body. I race a lot so I have a lot of opportunities to experiment. And this year has been the best for me so far with my race day nutrition. 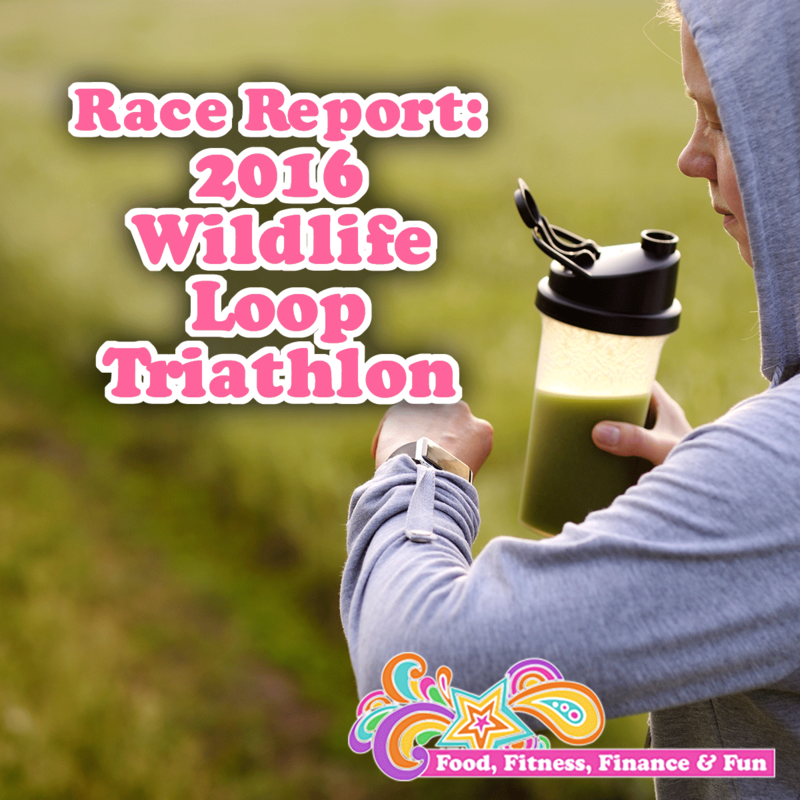 The Wildlife Loop triathlon was one of my faves this year. It’s a half ironman distance (1.2 mile swim, 56 mile bike, and 13.1 mile run) which is quickly becoming my favorite distance. I raced 6 of this distance this year. This was one of my favorites because the course was gorgeous, the temps were perfect, the race was low-key, and my nutrition plan worked perfectly. Oh…and I won $800! I drank 2 bottles of Energize on the bike, ¼ bottle every 10 minutes for the first half and then Gatorade (on the course) the second half, again about ¼ bottle every 10 minutes. I drank a bottle of Bing Cherry Energy Drink (http://amzn.to/2dKxBN8) ¼ of the bottle each mile for the first 4 miles and then switched to Gatorade on the course (same amount). I also had one package of Pro Bar Bolt w caffeine at mile 10 of the run. The temps were pretty much perfectly moderate, but in hotter races, I have taken salt tablets and consumed more Gatorade on the course. After ANY race, I immediately drink a bottle of Shakeology with water to replenish nutrients and give my body some clean protein. Typically I don’t eat a lot at the race “after-party” due to limited options for me, so I want to make sure I get something nutritious in me right away. For this race, I did eat about 50 cherry tomatoes and 20 pickles post-race as well!! BONUS!! If you have any questions at all about any of my races, training, or nutrition, please reach out! I offer personalized training and racing plans as well as custom meal plans, on or off the race course! My friend and marketing coach, Tara, once asked me why I couldn’t be a professional athlete since I was so in love with every aspect of being an athlete: training, racing, nutrition, and of course sharing it with the world as often as possible. I quickly replied (and quite defensively) that I wasn’t fast enough to be a professional athlete. 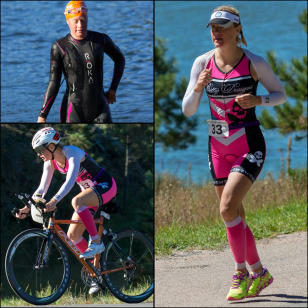 I was kind of annoyed that I had to explain to her that to be a professional athlete I had to have some crazy fast genes that I wasn’t given and that although I do well in our local runs and triathlons, I am DEFINITELY not good enough to be a professional. I think she got brave and mentioned it a few more times, and I quickly gave her the same answer (justification) why I could NEVER be a professional athlete. This past year I have won a lot of races, not only in my age group, but in the overall women category. 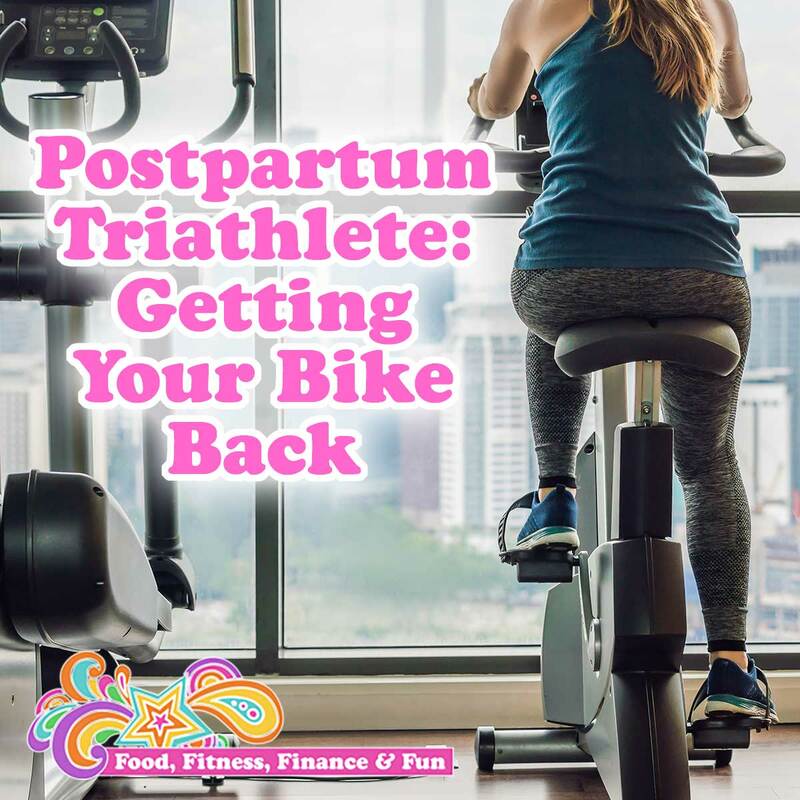 So she suggested it again (since I spend 75% of every day centered around triathlon and being a triathlete and my other businesses were suffering financially). And once again, I shut her down, even more quickly this time because she just didn’t understand. Winning a 5K in Johnstown, CO is much different than making money at races and getting noticed by sponsors who want to pay for my races, equipment, training, etc. But this time she had had enough. She was sick of my defensive and definitive answers and made me dig into WHY I was so opposed to the idea. After all, being a professional doesn’t mean you are FAST, it means you make money doing it. A professional organizer makes money being an organizer. She isn’t necessarily the world’s best organizer. There are hundreds of professional talk show hosts that aren’t Oprah. I think even William Hung who did a horrible rendition of “She Bangs” on American Idol sold 200,000 albums!! So why couldn’t I be a professional athlete? So I changed my thinking. I changed my mindset. I decided I can make money as an athlete, therefore, I could be a professional athlete! YAY! Within the next couple weeks I was approached by 2 sponsors and I started winning gift certificates and even cash doing what I love to do already…race!! 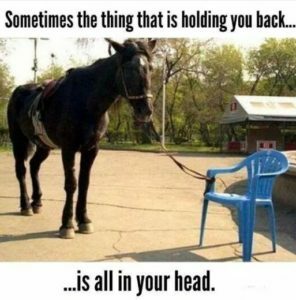 I am sharing this because we often are the ones holding ourselves back from getting what we want, doing what we want to do, and being who we want to be. We are the ones limiting our happiness and success. A simple shift in thinking or believing can help you get unstuck in your life. What do you want to do? Then find a way to do it. Who do you want to be? Make yourself into that person! What do you want to have? Find out how to get it and go for it! One of my all-time favorite quotes says it best: Don’t underestimate yourself. You are capable of more than you can ever imagine. And be brave and share your goals, dreams, and desires. If you aren’t ready to share them with the world, or even those close to you, you can always share them with me! I am a triathlete, but I started as a swimmer. Before I ever rode a bike or ran, I swam. So now I am a rare breed of triathlete who LOVES to swim, and can swim all 4 competitive strokes, butterfly, backstroke, breaststroke, and freestyle. Most triathletes just learn freestyle (or front crawl it is actually called) because that is what you would swim in a triathlon, because that is the fasted of all 4 strokes. So if that is what a triathlete swims in competition, why would he need to learn the other strokes?? The “complaint” I hear most from my triathlon clients about swimming is that it is BORING!! Basically as a swimmer, you swim back and forth in a swimming pool for an allotted time or distance. Sometimes it’s slower, sometimes faster, sometimes doing drills, and sometimes doing intervals. But essentially all you are doing is swimming back and forth, which could get boring to some (I actually LOVE it, but again, I’m the minority here). When you know all 4 strokes, it gives you 4 times as many options when completing a swim workout. Doing different strokes in your workouts not only make it more fun, but you are also working different muscles so it’s like cross training while still becoming a faster and more skilled swimmer. These 2 reasons alone are good enough to get out of your comfort zone and learn the other strokes, but the main reason I use all 4 strokes in triathlon training is to keep from getting injured. 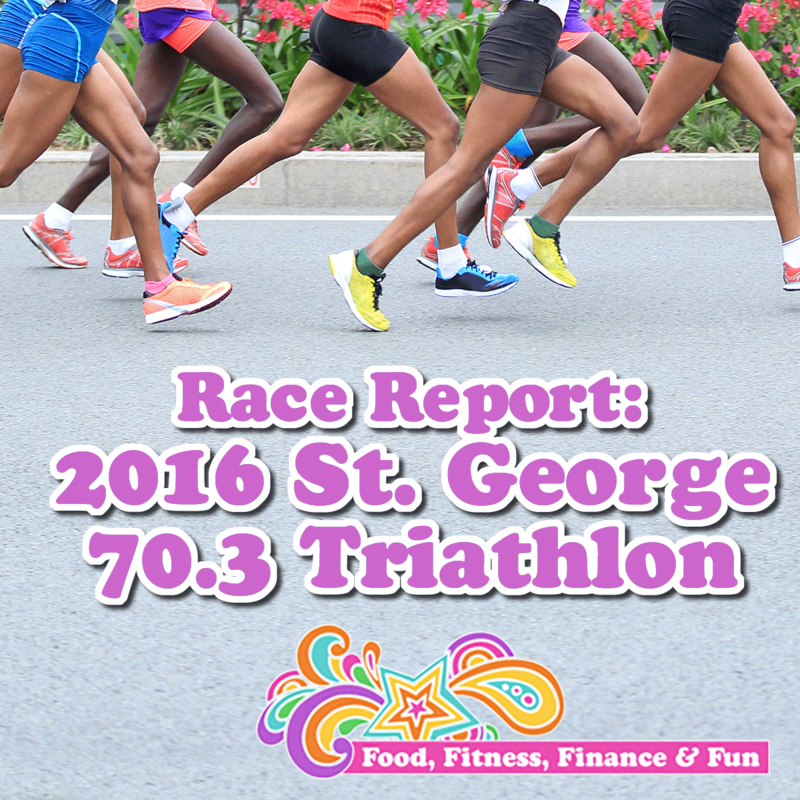 As a triathlete, we bike a run…a lot! Biking and running are very similar movements and use many of the same muscles. I like to use breastroke kick to help strengthen the adductors and abductors (inner and outer thighs) and hips (these don’t get worked much with biking and running) and I like dolphin kick to stretch my hip flexors which get very tight with biking and running, and to strengthen my core. I also use butterfly and breastroke pull to work opposing muscles to freestyle in my upper body and give my shoulders and rotator cuffs the break they deserve after lap after lap of turning over my arms. All in all I attribute my variety of swimming strokes, drills, etc to no injuries over the past 4 years of triathlon training. When I started increasing my biking and running, I also increased my swimming. Keep on Swimming! See you soon! 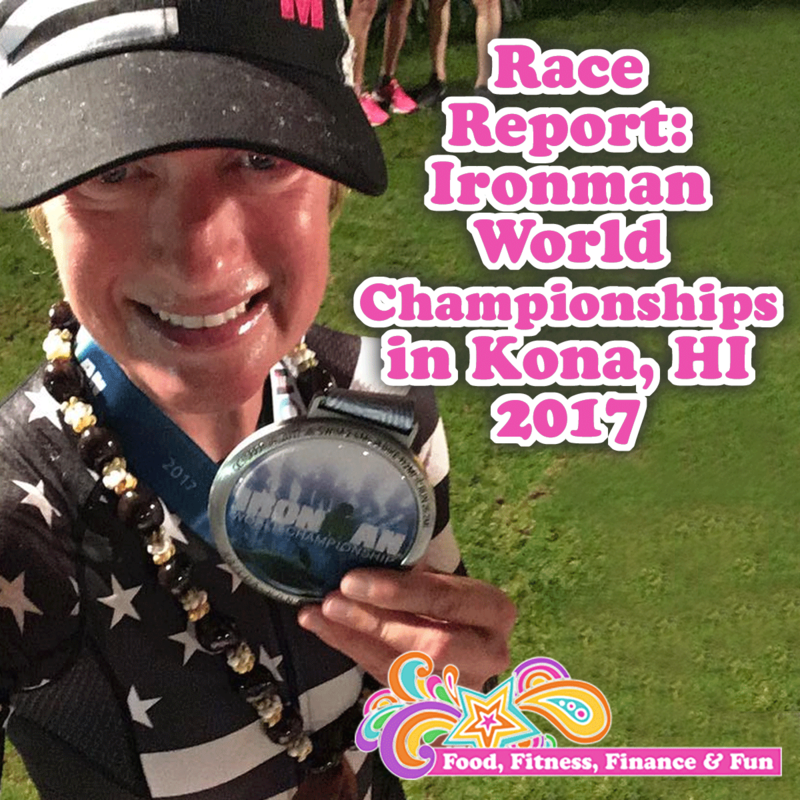 Here are some of the products I used in my race…ALL of which I will use again next race as I felt my nutrition was PERFECT for this race!!! Salt Stick Caps Plus…took 2 about every hour. Next up is the Boulder 70.3 in 2 weeks!! 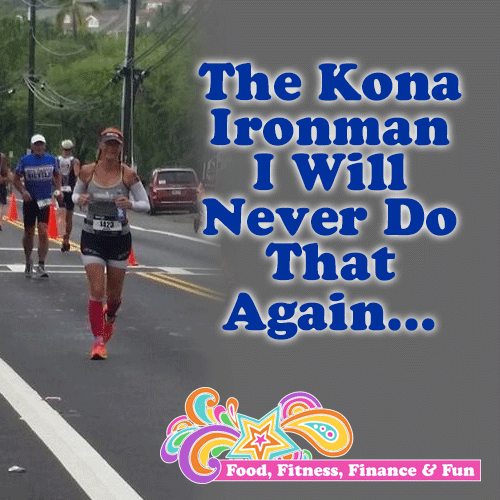 I said I would take a break from triathlon after the Ironman World Championships in Kona…and I will…but I know AT SOME POINT I will HAVE to do another Ironman. WHY? Because I feel like I failed at my last race. Not because of my time or my age group place…I wasn’t expecting to place high at the World Championships, I was TRULY grateful just to have qualified and am proud of myself and understand that just being there was an honor and a great accomplishment. I let the race beat me mentally. I had a much harder bike leg than I anticipated and by the time I got 10 miles into the run, I had talked myself into walking most of the remainder of the race, convincing myself that running wouldn’t really make a difference since I knew I would finish well under the time cut off even with walking the entire 2nd half of the run. And it worked, I finished in just over 14 hours (cut off is 17 hours), and was happy I finished since it was a long, hard day. I was proud of myself for being there, but I did NOT give it all I had. I cannot honestly say I gave it everything, that I did all I could do that day, that I left it all out on the course…and 3 weeks after the race, that isn’t sitting well with me at all. I am a big proponent of the Four Agreements. The fourth is “Always Do Your Best”. And I do in most areas of my life on most days. So when things don’t turn out exactly the way I want them to, I am fine with it because I did the best I could at that given moment. But on Saturday, October 11th, I did NOT do my best, I did not give it everything I had, and I want to. I want to make it up to the sport, to pay respect to the race, and to KNOW in my heart and soul that I gave all I could in that situation on that day. 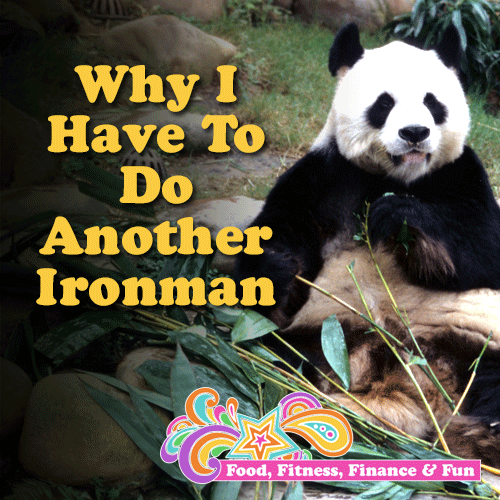 I know some of my besties will tell me I am being too hard on myself, but I also know that my tri geek peeps will totally get where I am coming from. I appreciate and need both groups of people in my life. I am grateful for those who challenge my type A, 3 on the enneagram, perfectionist tendencies so I know that what I do and how I perform don’t make up WHO I am and are the only basis’ for how much love I deserve and receive. On the other hand, I am also thankful for those in my life that make me feel like I’m not the crazy, OCD, addict and can get behind my decisions and fire me up when I need a little extra energy to move toward my goals and dreams. I have for sure learned a lot about myself from this race and this experience and will take it all so that next time I can finish knowing I gave it ALL! Thanks again for being in my life! And reach out with your hopes, dreams, and life experiences. I love being a part of something real and juicy!